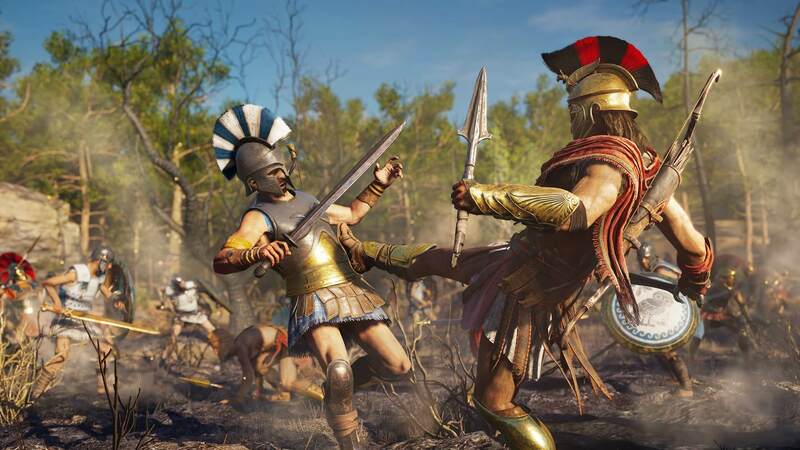 In brief: The latest Assassin’s Creed game—Odyssey—has been called the best entry in the series by several reviewers, and it seems that many Steam users agree. The new entry in the long-running franchise has seen its peak player numbers reach just under 62,000 on the platform, a significant jump over last year’s Origins, which had a peak of 41,541. While Odyssey is the top-selling game on Steam, some users have complained about optimization problems on the PC. The inclusion of microtransaction has also irked some buyers, it seems. But GitHyp reports that these issues haven’t stopped it from gaining the series' highest concurrent player figures. Before Origins was launched in 2016, Syndicate, Unity, and Rogue all had peak player numbers of under 5,500. Odyssey still has a way to go before it passes Origins’ sales, but it looks to be on track. SteamSpy says that around 200,000 – 500,000 copies of the latest game have been sold, while Origins sold between 1 million – 2 million copies on Steam. Ubisoft is working on a patch that addresses some issues found on the PC version, which could result in an uptick in sales. Interestingly, physical sales of Odyssey were down 26 percent in the UK compared to Origins during launch week, though that’s likely due to more people downloading games rather than buying physical copies.